At O’Brian & Associates, we tailor our approach to your specific family law situation, making the process less stressful and the results as favorable as possible. We can help you craft sophisticated solutions for divorces that involve separate property, hidden assets, business valuations, and more. Whether you need effective counsel for a simple divorce or a complex custody dispute, one of our experienced and compassionate family attorneys can help you. At O’Brian & Associates, we provide personal attention and responsive service to individuals and families as we guide them through complex personal matters. Since 1986, Attorney Susan Millican O’Brian has devoted her practice exclusively to Washington divorce and family law. She has assembled a talented team of attorneys, each of whom have more than a decade of legal experience. We offer knowledgeable advice and representation that get results. We protect the interests of mothers, fathers, and their children in custody and parenting matters and child support cases. Our Redmond divorce lawyers handle all aspects of divorce or separation, addressing issues such as property division, spousal maintenance, and protection orders. With our in-house professionals and network of experts, we can help you through any challenge you face in family and divorce law. We devote our legal practice exclusively to resolving divorce and family law issues. Each of our talented attorneys has more than a decade of proven legal experience. We welcome clients from all walks of life. Find out how we can advocate for your interests. In complicated and emotionally charged conflicts, you need a strong advocate in the courtroom. 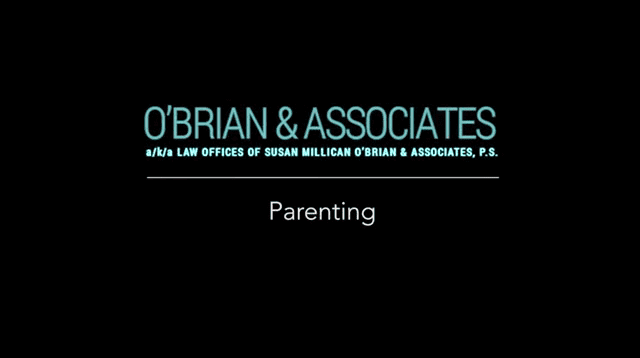 If you are worried that your parental rights or rightful share of the assets are in jeopardy, you can depend on O’Brian & Associates. We are well-versed in resolving high net worth divorces, finding solutions for matters that involve complex assets, business valuations, identification of hidden assets, and more. Our attorneys can provide the solid legal guidance and tireless representation you need to move forward with dignity and confidence. Whether you are looking to protect your rights in a collaborative or litigated process, we have the insight and dedication you need. At our Redmond family law firm, we are prepared for whichever path your divorce, custody, paternity, or child support case takes. We will take the time to get to know you and the specific details of your situation. Call (425) 276-7677 today to arrange a reduced-fee consultation. Excellent Firm. This office treated me extremely well throughout my case. I had a very difficult and emotionally charged divorce and their team was with me and my children every step of the way. I always felt that I had a strong advocate on my side. If you have children, I especially recommend this office. The biggest "plus" with this firm, for me anyway, is that they are all very caring and personable. They take each case on as if they are fighting it for themselves. They honestly care about their clients; you won't feel like you're just their next paycheck!" Why Choose Our Redmond Family Lawyers?